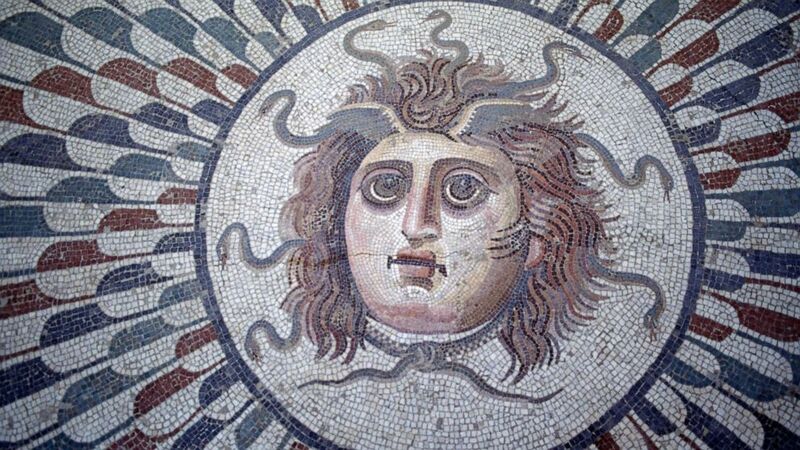 If you have read about Greek mythology, you may remember that Medusa, with her poisonous snake hair and the ability to turn her enemies into stone at a glance, was killed by Perseus' sword. But scientists at the Kyoto University of Science have discovered a way she lives: through a gigantic virus living in hot springs and making her hosts "rocks". Medusavirus – real name Medusaviridae – is the first of its kind to be discovered in such a warm environment where the temperature reaches 110 degrees. 1; like converting its prey to stones, at a microbiological level. Scientists do not believe that humans can be infected by Medusavirus. The virus represents a new strain of a family of nucleocytoplasmic large DNA viruses, all of which contain double-stranded DNA like humans. What is unique about the virus is that the researchers found in their study that they have histones or molecules involved in DNA replication and organization, "like you would organize a garden hose around a coil," Todd Ellerin, Director of Infectious Diseases and Vice-President of the Department of Medicine at South Shore Health in Weymouth, Massachusetts, told ABC News. They also found that there was much overlap between the virus and the amoeba DNA, suggesting that the two evolved together and passed DNA back and forth over the centuries. Because of their many unique features, researchers believe these viruses are associated with major transitions in evolution, including DNA replication, a process that is critical to human life itself. As such, the discovery of this virus is significant in research on development. Ellerin said: "It has a complexity that can help shed light on the origins of ancestors, which can ultimately lead to insights that give more questions than answers."